CAS-ual Fridays latest challenge is called 1-8 which means to use 8 items the same on your project. They theme is also related to sending out thoughts and positive vibes to those affected by breast cancer. And just checking out some of the other challenges I take part in and see that Simon Says Stamp Monday Challenge is Explore the World - great how the challenges can fit together! This page is perfect to enter this challenge as well. 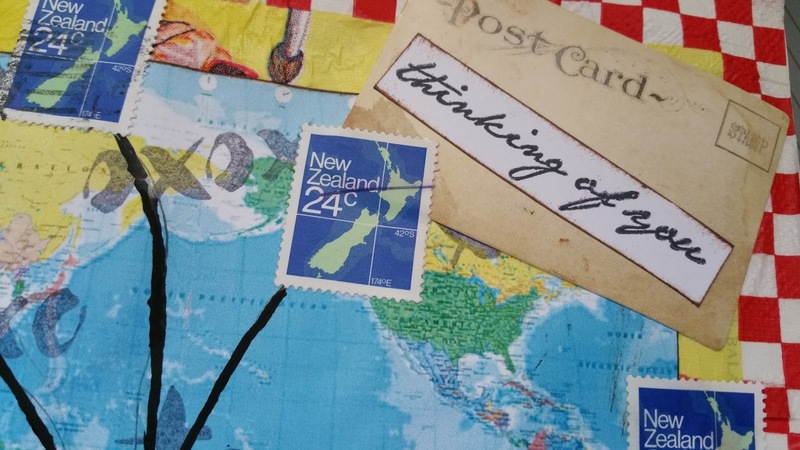 I recently acquired a box of postage stamps from my mother, most of which are local New Zealand stamps. 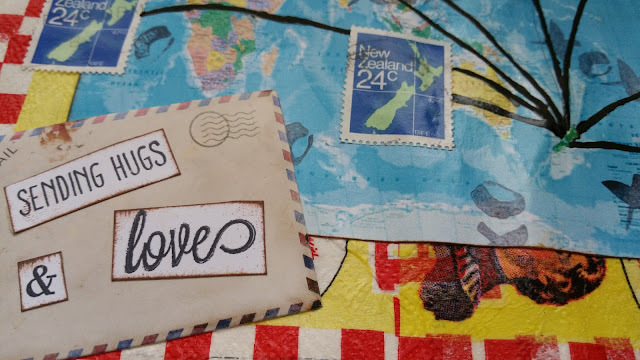 I thought I could incorporate these in this challenge to show how we can send out our thoughts and wishes around the world to those who are going through challenges and hard times. I started with a background of a paper napkin which features the Pavlova dessert, which comes from NZ. This also provided me with the checkered border. 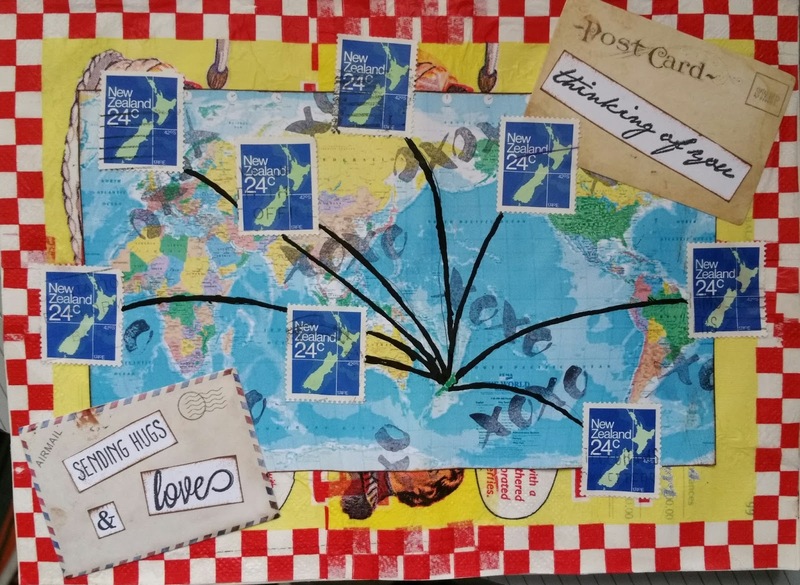 I printed out a world map and added the xoxo stamp for kisses and hugs as well at two postcards with greetings stuck on them.I decided where in the world the postcards were going and drew in the lines with a fine-liner and high flow paint. This wasn't as neat as I would have liked so tried to touch it up with my Posca pen. Then the all important 8 postage stamps. Being so small, New Zealand had all but disappeared under the paint so I touched that up with the Poscas as well. Happy with the positive, happy thoughts, and love represented here.